Red Eye Rose received a file with a strange extension. She doesn't know into what program she should load it. Neither does Windows. I doubt that anyone knows all of the file extensions used since the pre-DOS days of CP/M. Some of them may not even describe a file type. Before Windows started using them to associate files with an application, people used extensions for all sorts of things. But that was a long time ago. Chances are that the extension on your mystery file does indeed identify a program. But how do you find what program? The first thing you should do, just to make sure, is scan the file for malware. Your antivirus program should be able to do that. When you know the file is clean, double-click it. Maybe you'll get lucky. And even if you don't, Windows will bring up a dialog box to help you solve the problem. Select Use the Web service to find the correct program and click OK. The resulting Web page may or may not offer useful information. If it doesn't, try another file extension database, such as FILExt. Just enter the extension in the field in the upper-right corner, and press ENTER. Another option: Simply use Bing, Google, or any other search engine. Search for Open .ext file, replacing ext with the mystery extension. That's actually how I found the solution to Rose's problem. She needed to open a .3de file, and a Google search for Open .3de file led me to a program called DeskArtes 3Data Expert. If nothing else works, try an educated guess. 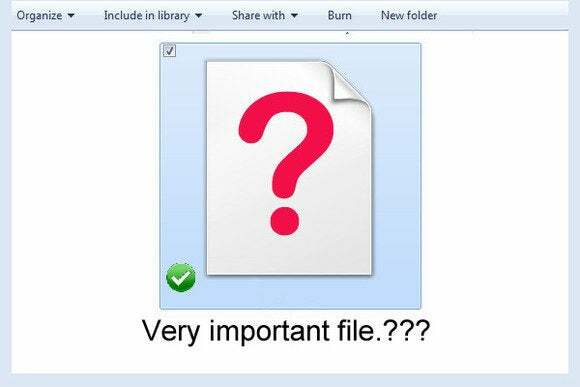 The very fact that you have this file and want to open it suggest that you know something about it. You can probably guess if it's an image, document, or spreadsheet. If you suspect that it’s a certain kind of file, try loading it into the right kind of application. For instance, if you think it's a document, try opening it in your word processor. Double-clicking does no good, of course. But you can load the program, then drag the file into the application window. Drop it on a toolbar or ribbon for best results. Or use the program's File>Open tool. Just remember, for the file type, select All Files (*. *) or a similar option.